Salesforce Commerce Cloud Digital enables personalized, innovative, and AI-powered commerce experiences and transactions across web, mobile, social, and more. 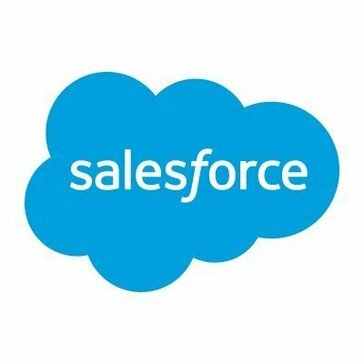 Work for Salesforce Commerce Cloud Digital? Learning about Salesforce Commerce Cloud Digital? "Sales B2B never been easier with Salesforce"
The desktop of the software is very easy to navigate, understand the different menu labels. Create accounts, budgets and follow actions in order to validate a sale. Create and browse the whole catalog available to offer to the accounts created. Prepare proposals to other companies that asked for our products and offers in order to release. I want to have more accounts to create the statistics and have the numbers to looking forward to a new phase in the sales carreer. So far I like everything. I up to the challenge of the customized the menu labels and the output budgets and invoices but I can handle this small stuff outside the software, until I learned it. Is a very dedicated software and all I need is some time to learn about it. I think the considerations are If you think about to do some sales on e commerce, just don't do it any more, just get your self on salesforce and start your own path with your idea, and you will be learning on the way, is the best consideration I could say to you. I've been selling materials for construction industry and found out that some companies on the construction area are used to B2B commerce so I'm moving forward to this challenge. The benefits are the change of focus on the sales world, not only by visiting a customer, but also by connect with them online about their needs and how I can help them. Is a new culture of sales. "Salesforce Commerce is the BEST!" What I like best is the allows for a easy shopping experience across ALL types of digital channels, no matter the type! Some interfaces allow for a restricted to a certain few channels, but not Salesforce Commerce! All the praise hands go up! The only thing I dislike is the price tag associated with this quality product. But you get what you pay for! It is helping my company in a number of ways. One, it has reduced our amount of abandoned carts by using some of the best & proven practices like including saved carts, optimized checkout flows, and payment accelerators. It also allows for a full suite of mobile-first capabilities. The last thing that has been most beneficial to me is the service agents and how helpful they are. They accelerate over-the-phone orders and check out on behalf of customers with real-time access to digital storefronts and order history. "Daily interaction facility with current and potential clients"
It has a good integration with third-party products, in addition to a large number of additional applications, its versatility is demonstrated by being able to use it from mobile phones with basic capabilities, which allows for the integration of almost any person in the company even while away. All this coupled with its great personalization potential makes it a very good software when compared with others in the market. Although Salesforce has many extras available its use should be given by someone who is familiar with the software due to the complexity and adaptation necessary to use it, in addition to this the software update is usually a tedious process and cause discomfort. Salesforce is used daily in the company, with which we have achieved a lot of progress within it, since it makes our interactions both significant and productive. With this program we connect with new potential customers, we can also track all customers we currently have as well as potential buyers. "very customizable and facilitates the work to sellers and managers"
The page is usually a bit heavy if there is a lot of data in the organization by li that you have to wait a bit at the time of loading, this in turn makes browsing within it a little confusing, on the other hand some features they are available only in the Lighting or Classic Experience version. Salesforce is a Software with a very simple client interface allowing it to have all its information in a single view. I believe that this software is perfect for the exploration of new clients as well as the tracking of current clients, of the CRM Programs that used Salesforce is the one that is above all. I use Salesforce as the main product in the organization, in the preparation of demonstrations of our mobile product which is synchronized with salesforce. We usually use the software to personalize the organization and thereby facilitate the work to the sales representatives and their managers. In addition, the software allows us to customize it for each client and back the information in it. my company has non-standard or niche business models or audiences, the SaaS nature of the solution may not be a good fit since the feature roadmap is largely centred around what the majority of B2C retailers would find compelling. If the requirements don’t reflect that, the roadmap is unlikely to match our The solution’s basic premise is to enable your organisation to do what it (typically) does best: trade the platform as hard as possible without having to focus on some of the associated challenges of non-SaaS ecommerce platforms: stability, scalability, or managing a technical agency, team or roadmap.needs. Login and credentialing can be complex if you work in more than a few environments. Additionally, first-tier technical support (for non-urgent issues) sometimes requires handholding. Non-comprehensive interface updates can lead to minor training challenges. It is a great product for anyone looking to use retail Practice engagements (including UX review, SEO review, Business Manager audits, best practices auditing, etc. ), beta programs and needs a high degree of compatibility with other vendor solutions give us first-class performance and a stable foundation for growth. "Salesforce Commerce Cloud breadth in services." We managed to increase sales by 20%. Finding accounts in the application is very easy. It also has a database management for customer lists. The configuration for users may be somewhat complicated. And the price could be a lower price. If you have had any experience with Salesforce before, with Salesforce Commerce Cloud, it would be very easy to use. Reliable platform if what you need is a solution based on the cloud that requires a development. With this service that gives us our marketing reach has increased by 30%, we also use it for marketing, promotions, to manage forecasts and customer service. We provide a wide variety of services for the company, we track sales and support for our customers. "Patient access to client products through in house solution"
The wonderful integration that salesforce allows for helps our organization access our clients products and present them to our patients with our in house platform. This eliminates the need for internal associates and patients to jump from site to site trying to find the product that will best suit their needs. As robust as the front end is the back-end requires a lot of development and legwork. With the vast array of features it can be overwhelming trying to clean up the front end UI to be aesthetically pleasing and comfortable for the end user to navigate. Even though this is a lightning module there is a good amount of administrator tasks that require you to be in classic mode to configure. It can be time consuming switching back and forth when implementing new user stories. Implementation can be expensive but worth it if you anticipate steady growth within your operational functions. Having the base Salesforce CRM platform already to build on will make things much easier. Yes API's can be built out if you do not however it is not as efficient. We have optimized the process for patients to access our clients products in an efficient and timely manner. This helped our operational side of the business to focus on improving SLA's that were suffering and bring them up to suitable levels because time was not being lost with associates doing administrative tasks for patients due to this Salesforce module. I am happy with the platform that they have provided. We have managed to get 15% increase in the business. And It has also helped us to manage our customer database and their requirement. I don't think so i have anything on my mind. I would happy recommend this system to all the people out there. It create's a individual, and simple purchasing requirement, allowing things to go evenly for the customer. I really like Salesforce Commerce Cloud Digital because its not only a crm but acts as a cloud to store all of our company data and leads. I really dislike how Salesforce Commerce Cloud Digital is very expensive to operate and requires licensing and cloud space. "Be a force with Salesforce "
Salesforce is very user friendly. It stores customers information in the way that both the client and the customer can feel secure. It is very easy to navigate and to use on a daily basis. There is nothing that I dislike. I really enjoy the program and the features it offers. Salesforce is beneficial with customer record keeping. "The definitive solution for offline and online commerce." Salesforce Commerce Cloud solves problems for big retailers such a multi-country and multi-currency. 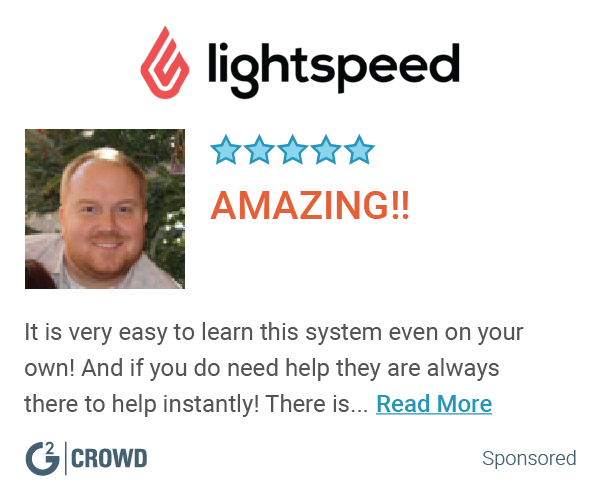 It's fast to implement and it can be personalized and optimized constantly. It can work with a single stock for online and physical shops, which makes it a perfect option for brick and mortar businesses. CDN it's incorporated by default. License cost for small business makes Salesforce Commerce Cloud as an option to discard. Legacy software is a common problem in e-commerce. Salesforce Commerce Cloud solve this issue because is a real SaaS and all the updates and releases are online immediately. You can utilize it easily from your computer or a cellphone, and it’s entirely integrated! I dislike that it can at times be a slow program. My company was apprehensive at first when posed with using Salesforce Cloud Digital but we've found an enhanced shopping experience for our customers. Smoother interface and higher speed. We've seen an increased CTR on our site since using this. Integrating all buying options for customers. More opportunities for customers to buy while keeping a sleek interface that aligns with our brand. We developed a whole an entire system for e-commerce client using the Salesforce Commerce Cloud Digital. It is better than the typical systems since everything can be accessed from anywhere. "Commerce has its ups and downs "
"Powerful tool for connecting anywhere, anytime"
"Salesforce Commence Cloud Digital "
Simple to use and do my work. Provides the largest commerce skills set in the world. I have no dislike of this company. I was very happy with skill set. Digitally to perform want I want to do. All in a timely fashion I was able to increase my sales. I realized I needed the this company to help me. "Salesforce Commerce Cloud Digital "
I like the marketing options and content that you can create within the program, specifically within mobile. Not much to dislike, I would just say the learning curve of using Salesforce. Creating a unique and simple purchasing experience, allowing things to go smoothly for the customer. I love that it is so in depth and there are so many things that you can do with it!! I really don't have any dislikes about this system! I would absolutely recommend this system! "Management relies on the use of this"
"Easy enough, would like a better interface"
* We monitor all Salesforce Commerce Cloud Digital reviews to prevent fraudulent reviews and keep review quality high. We do not post reviews by company employees or direct competitors. Validated reviews require the user to submit a screenshot of the product containing their user ID, in order to verify a user is an actual user of the product. Hi there! Are you looking to implement a solution like Salesforce Commerce Cloud Digital?